Hey guys, it's been ages since my last post. Life has been beautiful, I'm learning new things everyday, my hair is making progress hehehehehe and I'm basically loving life more and more with each passing day. Even with all the ups and downs. 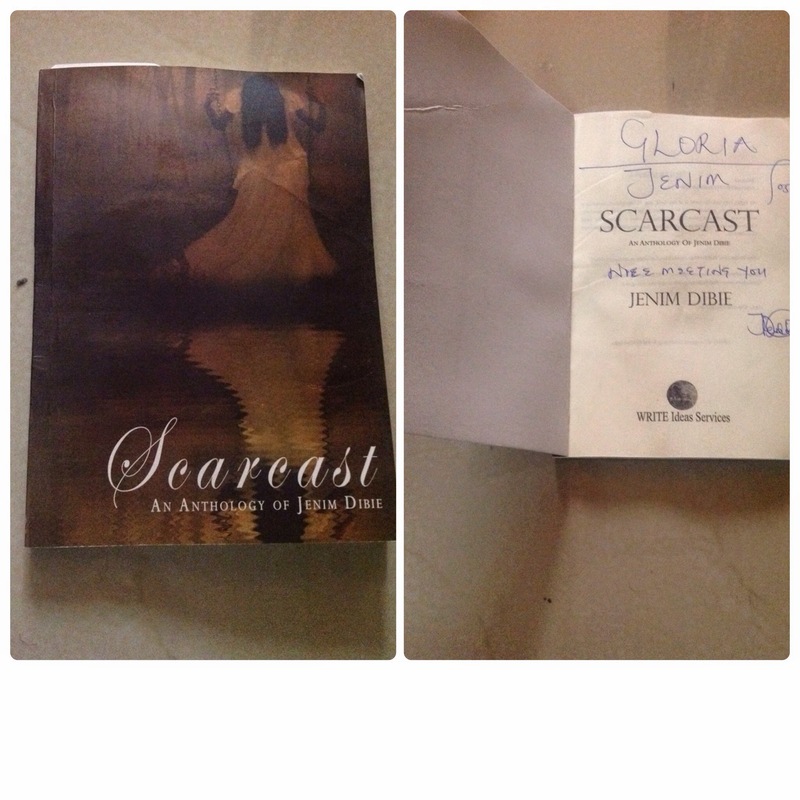 So on Saturday I got an invite to the book launch of SCARCAST~ An Anthology Of JENIM DIBIE. My very first thought was OMG that is going to be one boring event. Poetry! Really! I wasn't going to go for the event, but then I thought, what's the worst that could happen. Called a friend and we both went and trust me it turned out to be very interesting. I have never loved poetry growing up but after my initiation on Saturday, I can now relate to it. I even got an autographed copy for myself. There are 2 of her writings I love, LET IT GO and THE CALLIGRAPHY OF GOD. JENIM is a very talented poet and writer. For poetry lovers, you can check out her regular post on www.facebook.com/jenimdibie and also on twitter, her handle is @scarville. Here's a picture of my own copy. Until my next post. You all have a lovely week.